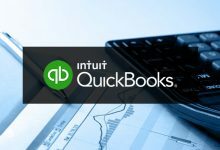 QuickBooks is the software of choice when it comes to accounting for small-to-medium sized businesses. It has been carefully thought out with features for all the accounting requirements of small-to-medium businesses. In addition to looking after the complex accounting tasks, it also keeps a record of daily, weekly and monthly transactions. QuickBooks is easy to use, even for someone who is not from a finance or accounting background. 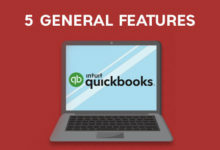 The latest version of QuickBooks released in 2018 has been updated with some new features. Let’s take a look. (search for one account among multiple accounts). Compare business performance on cash or accrual with a single click. Get work done faster with windows open across multiple monitors (maximum 3). Payroll liability reminder on home screen helps deliver payroll taxes on time. Reports filters are easily visible and can be applied across multiple reports and viewed on one screen. Bill Tracker makes it easier to manage payables. It shows the status of bills, purchase orders and more. Manage forms easily. Just one click to unclutter your send forms queue. Automated reports that are generated and emailed to you as per the schedule you set. QuickBooks online also offers a 30-day free trial like QuickBooks desktop. With QuickBooks online, you have the advantage of an anytime, anywhere accounting solution. It is accessible from any device so you can keep tabs on your business from anywhere. There are a range of pricing plans depending on the number of users and duration (per year or per month). While QuickBooks has been designed and updated with industry requirements in mind, it can sometimes be confusing for business owners who do not have an accounting background to pick the right version that suits them. If you have any confusion about which software version to use, or how to set it up, we can assist you. Feel free to contact us if you need any accounting services help.